The legal profession demands smart, skilled law graduates. This has been Stetson's strength for more than a century. 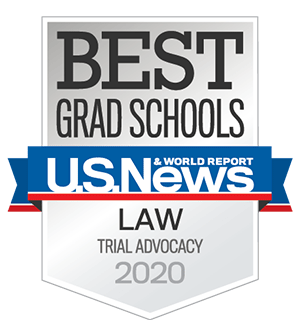 Only Stetson University College of Law is ranked #1 by U.S. News in advocacy and #3 in legal writing, both vital skills for attorneys. To gain the real experience needed to excel in your legal career, you will find a well-rounded J.D. curriculum that features more than 60 skills electives, more than 400 clinic and externship opportunities, and five J.D. certificate of concentration programs. Those who wish to further specialize their degrees may also pursue a J.D./M.B.A. or the J.D./LL.M. in Advocacy joint degree, or go on to earn an LL.M. 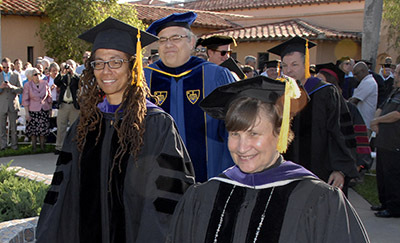 degree in advocacy, elder law or international law from Stetson. Stetson also offers advanced M.J. degrees for non-lawyers who wish to obtain a greater understanding of legal systems and concepts in the areas of international business, elder law, and healthcare compliance. Want to explore? Stetson has study abroad and foreign exchange programs, as well as an intellectual property exchange program with the University of New Hampshire. Stetson’s academic program includes advanced bar preparation and academic success services, which provide the foundation needed to become an active and respected member of the legal community. Stetson is the home to centers for excellence in advocacy, elder law, and higher education law, as well as institutes for biodiversity law, Caribbean law, legal communication and veterans law. Other special academic programs include International Programs, the National Clearinghouse for Science, Technology and the Law, and the Civil Rights Video History Project. Stetson students may distinguish themselves by serving as editors on our four academic journals, competing on Stetson's advocacy competition teams, and performing pro bono service. Stetson Law has an outstanding faculty of full-time professors and adjunct professors who serve students inside and outside the classroom. Stetson’s law libraries form the academic heart of the law school experience, with 48 group study rooms, six J.D./M.L.S.-degreed reference librarians, a Google-mapped floor plan, and wireless internet access everywhere.